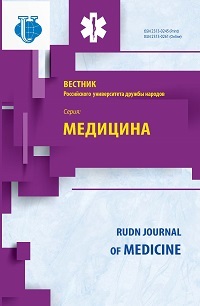 RUDN journal of Medicine is published since 1997 with a periodicity of 4 issues per year. Publishing mission - to make the results of scientific researches of Russian scientists available for foreign academics. The editorial board includes recognized in the medicine and health care professionals in Russia and abroad. Themes of articles are largely varied. They reflect the results of scientific work in the performance of master's and doctoral theses, as well as other relevant research, including search and reflecting the improvement and expansion of existing preventive, diagnostic, treatment and rehabilitation methods. 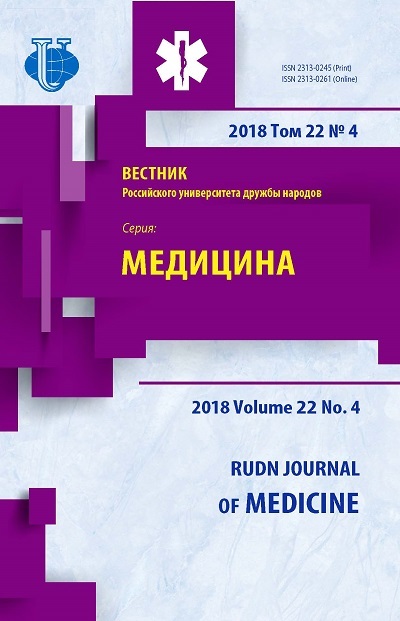 The journal publishes articles both university staff and authors from other medical schools and medical faculties of universities in the country, as well as various medical institutions in Russia, CIS and far abroad. Tscymbalystov A.V., Kopytov A.A., Chuev V.P., Asadov R.I., Vinakov D.V. Efimova E.Y., Krayushkin A.I., Efimov Y.V. Frolov M.A., Ryabey A.V., Frolov A.M.
Hijazin V.H., Solod E.I., Abdulkhabirov M.A., Karpovich N.I.